Samsung has been enjoying a really successful time of things in the last year or so in the smartphone market with a number of hugely successful products on offer. Its recent successes were arguably built on the Samsung Galaxy S2 that was released in 2011 and is still available today. Now though the company has revealed the Samsung Galaxy S2 Plus and we have the official specs and details for you. The company has just revealed the new handset for its Galaxy range of smartphones and as you can see in the image below it looks an awful like the popular Galaxy S2, but the device will ship already running the Android 4.1.2 Jelly Bean operating system, which the older device is still waiting for. Most of the other specifications for the handset are just a minor bump from the Galaxy S2 or pretty much the same, as the S2 Plus is using a 4.3-inch WVGA Super AMOLED Plus touchscreen display, which has a dual core processor clocked at 1.2GHz under the hood. There is also 1GB of RAM and camera wise users are treated to an eight megapixel rear facing camera that features a zero-lag shutter speed that captures moving objects easily without delay, and around the front is a two megapixel shooter. The Samsung Galaxy S2 Plus only features 8GB of on board storage but luckily this can easily be expanded via the microSD card slot by up to a further 64GB, and with the low cost of microSD cards these days this is always a welcome feature on mobile tech. At the time of writing Samsung has yet to reveal any pricing or availability for the new smartphone, but the device is promised to have a big boost in functionality and usability compared to the original Samsung Galaxy S2. Other new features bundled with the handset via the later firmware include Popup Video that allows users to play videos anywhere on the display in a resizable pop up window, at the same time as running other tasks. There is also now S Voice that allows owners of the smartphone to control it with their voice, as well as unlock the device with Voice Unlock. As long as the device is priced accordingly the company could have another hit on their hands, but it has to be remembered we could be only a few months away from the Galaxy S4 hitting the shelves, which in turn could see the price coming down for the Galaxy S3. 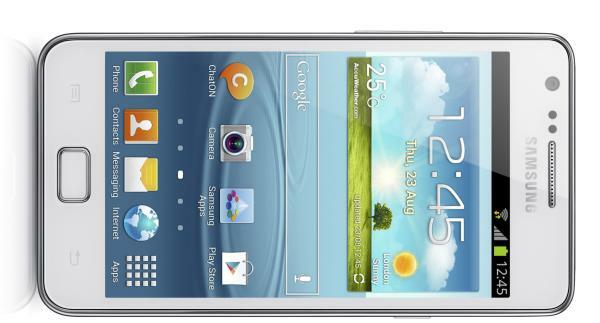 Do you like the look of the Samsung Galaxy S2 Plus?